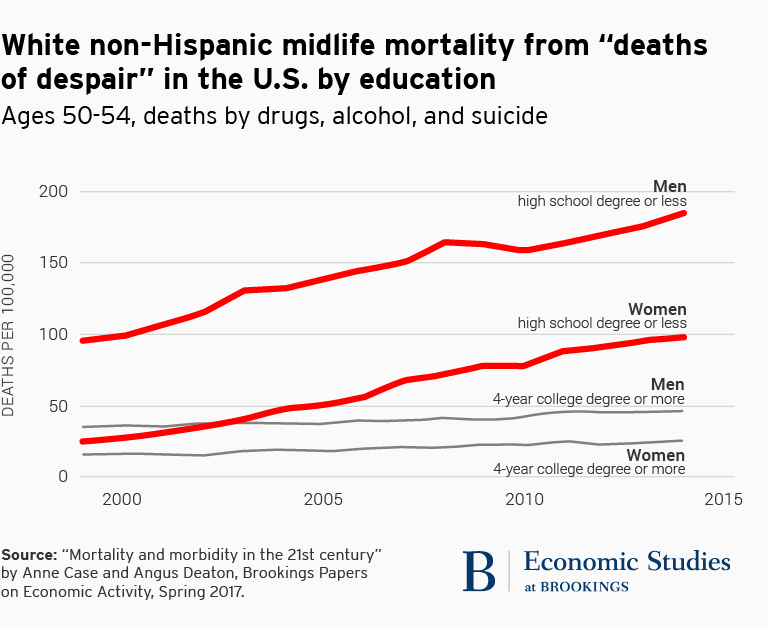 The US is experiencing an epidemic of high mortality, concentrated in middle-aged White, non-Hispanic persons with high school education or less. This is self-inflicted harm, and is frightening. It is Trump’s political base, and conditions are deteriorating quickly. 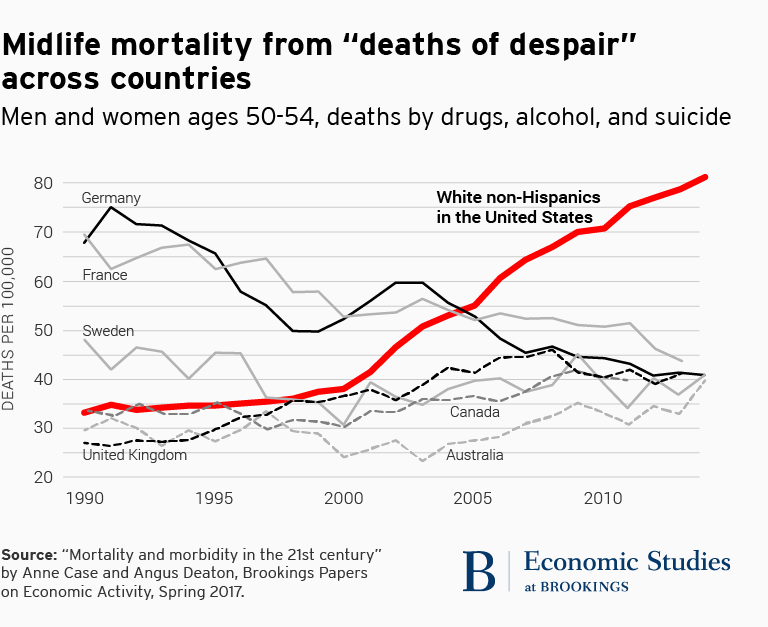 For further information, see Alison Burke, “Working class white Americans are now dying in middle age at faster rates than minority groups“, Brookings Institution, 23 March 2017. Case and Deaton’s full paper can be downloaded here. This entry was posted on Thursday, March 23rd, 2017 at 20:42	and is filed under Health Economics, History. You can follow any responses to this entry through the RSS 2.0 feed. Both comments and pings are currently closed.